Hundreds of police in Hong Kong have moved again to try to clear pro-democracy protesters out of an underpass near the city government headquarters. Reports say officers, armed with shields, fired pepper spray and scuffled with protestors. 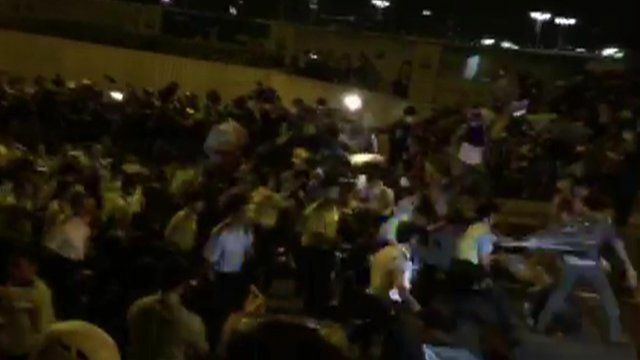 This video shows police attempting to secure one side of the main four-lane carriageway through the Admiralty District of Hong Kong.